The How-To Gal: Paper Folding Party! I am so excited to announce The How-To Gal's first party! Each day next week I will post a different paper folding craft. Some will be complicated and origami based, some will be easy projects you can do with the kids. On Friday, the 26th I will open up a McLinky for all of your fun ideas. 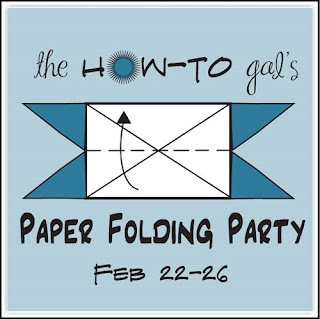 Please join me February 22-26 for a fantastic Paper Folding Party! !